Oh no! 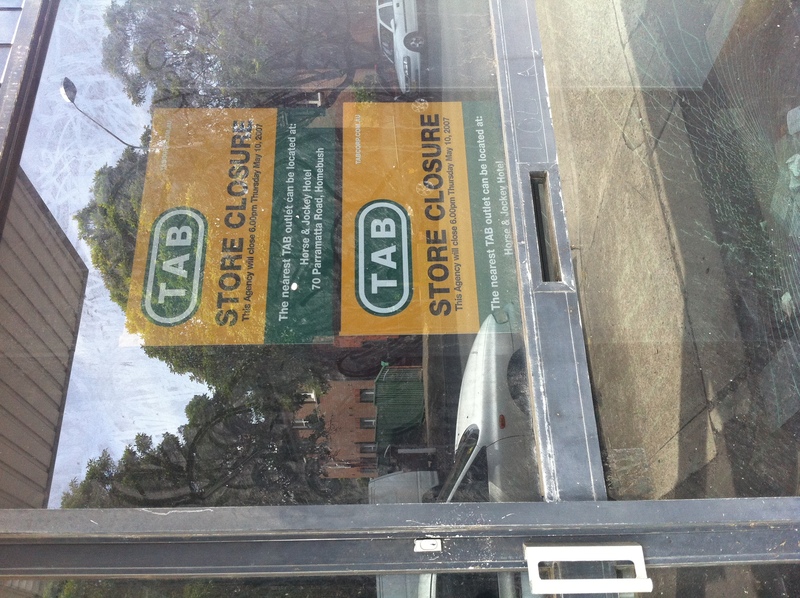 The Homebush TAB…it’s closed! It’s moved! However will I get my bet on now? I-eh? The TAB moved next door. To the Horse & Jockey Hotel. Which probably already had a TAB. The part I like is how specific the sign in the TAB is about exactly when it will close, but the part I don’t like is how there are people out there to whom that would have mattered dearly. 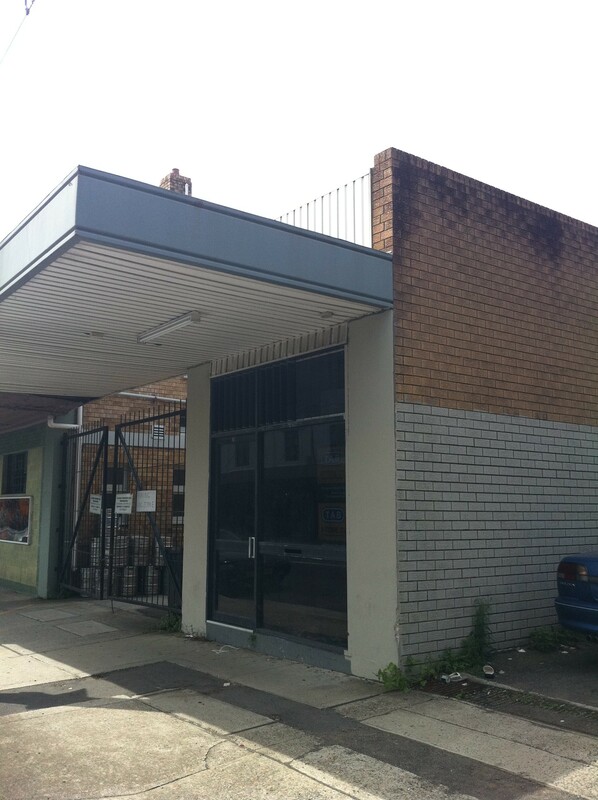 The TAB building is actually part of the Horse and Jockey property and was leased by the pub to the TAB. However it was getting ‘stuck up’ regularly. I mean real regularly. Sometimes twice a week and from memory towards the end, twice in two days !! Pub patrons would run into the TAB, quickly place a bet and dash back to the pub post haste to avoid the next “stick-up”. The present owner of the H&J, Arthur Laundy, moved the TAB inside when he renovated the pub about 5 yrs ago to the great relief of the very nervous betting patrons.